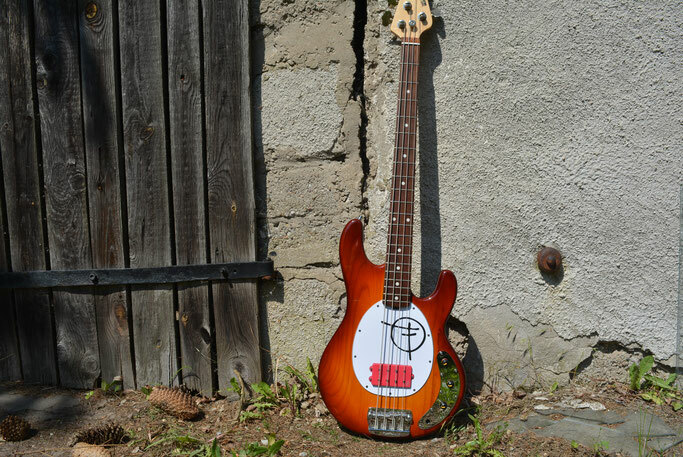 Designed as a replacement for MM & O.L.P style Bass Guitars. 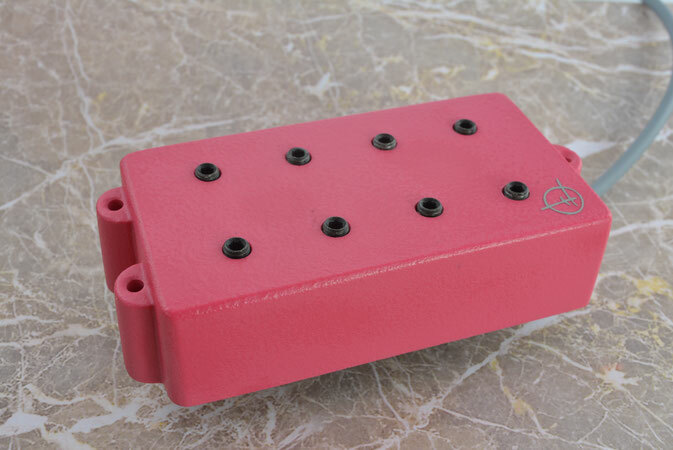 Featuring full Earth shielding & 8 individual Hand Scatter wound, (reverse wound, reverse polarity), matched coils . 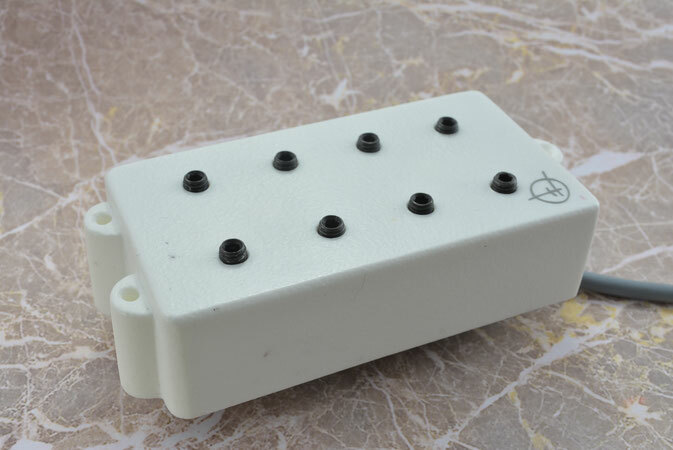 The Pickup is very quiet in operation with an absolute minimum of cross talk between strings. 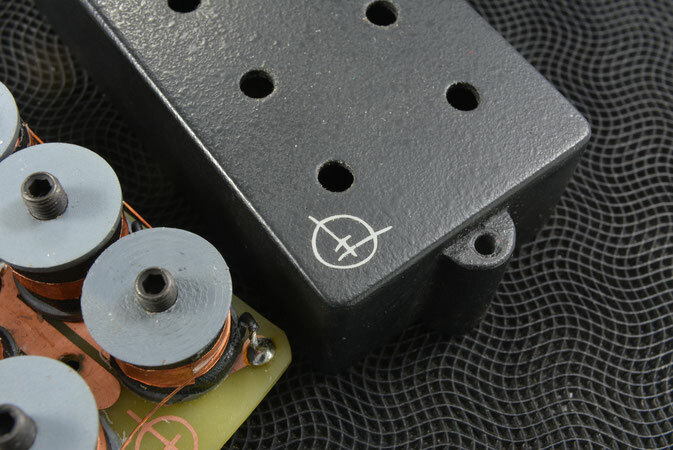 Wired directly as a full Humbucker , the pickup has a near transparent bass response , giving a precise, full & detailed tone. Wired as 2 pseudo single coils, produces a slightly brighter response with a sweetness , exceptional clarity & definition with minimum noise. 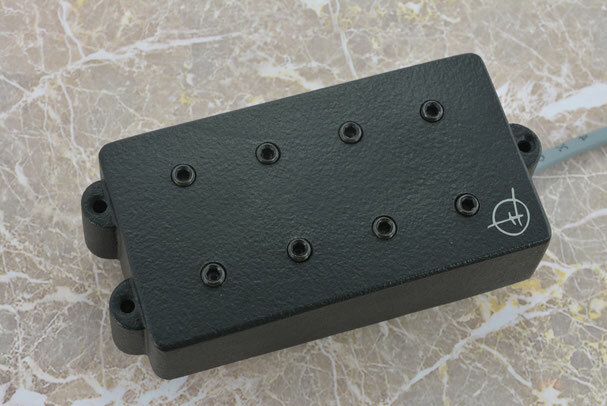 This pickup is suited to higher quality Instruments as the tone woods used in a Bass Guitar play a big part in the overall tonal qualities with a pickup of this type fitted..
Connects directly to the MM factory electronics or can be wired passively. Fist thing I realised is the quiet operation and then I heard a full and balanced tone with a gentle sweetness. The tone my finger made went straight thru the pickup to the amp. Every detail was represented truthfully and clearly. The tone was defined and alive. 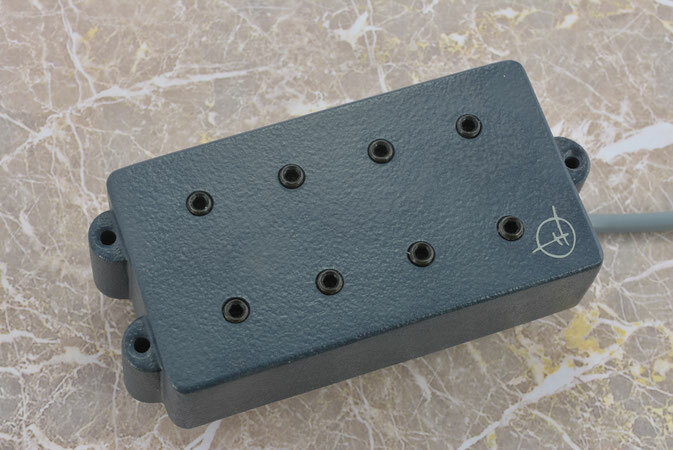 For me this pickup should be also a good choice for a fretless bass.